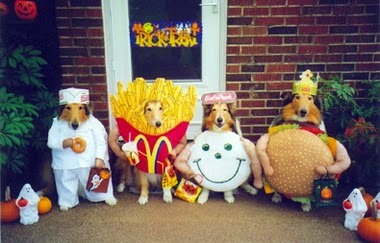 Everyone be safe as you are out Trick or Treating! Did you join us for Coffee with Cops yesterday? 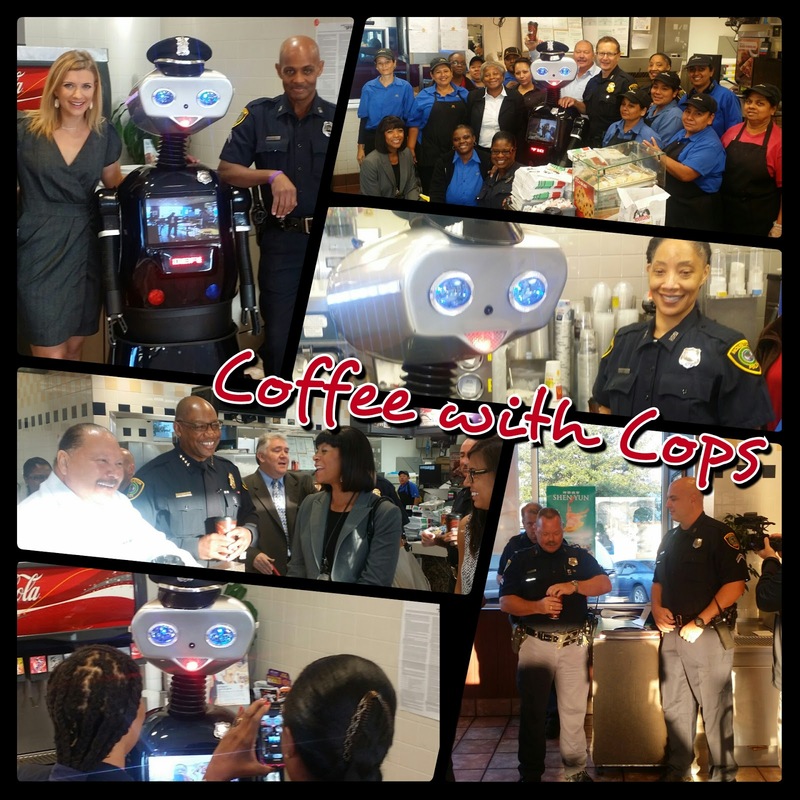 Houston Police Chief Charles A. McClelland, Jr., area commanders and officers from HPD Community Services teamed up with representatives from McDonald's on Thursday (October 30) morning to invite citizens to have "Coffee With a Cop." Chief McClelland surprised many customers by appearing at drive-thru windows of several McDonald's locations and engaging in conversations ranging from public safety to rating how HPD was doing in keeping the city safe. Customers also met with officers in their respective areas of the city to talk about enhancing neighborhood safety, as well as discuss issues and concerns impacting the community. Chief McClelland said,"What a great way to start the morning. Any opportunity that we can enhance our police-community relationships, get out in the community and talk with folks, it's always a good thing." Citizens also had the opportunity to obtain crime prevention and personal safety materials, as well as meet HPD's newest crime fighting robot, Officer Defender. Thank you to everyone who came out and made this event a success! 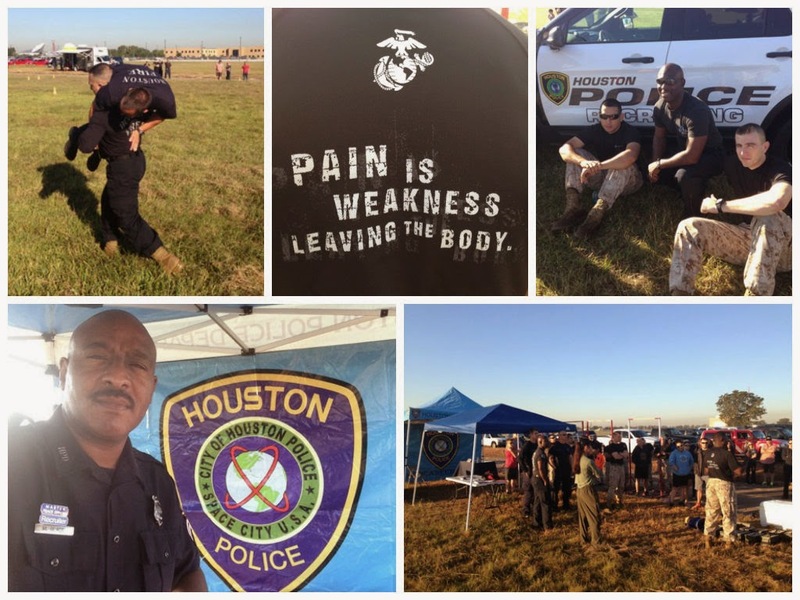 HPD took part in the Houston's Finest Fitness Challenge this past weekend. Recruiting for the Week of October 27! 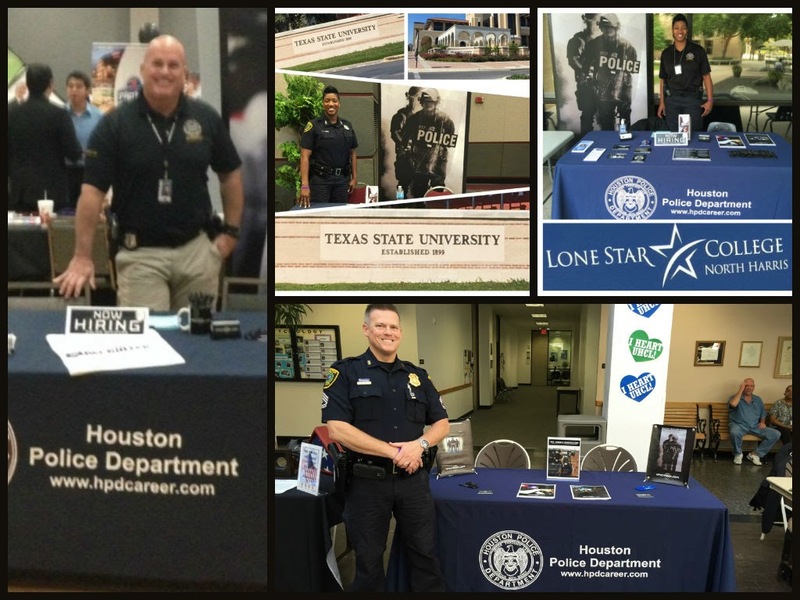 Our recruiters had a lot of events this past week. To see where we will be next week, stay tuned to this blog. 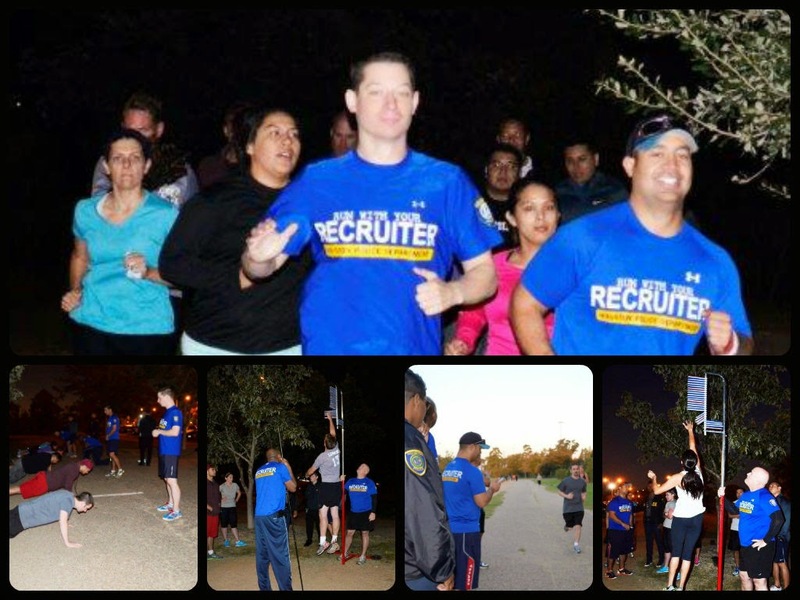 Thank you to everyone who turned out to run with the recruiters today. 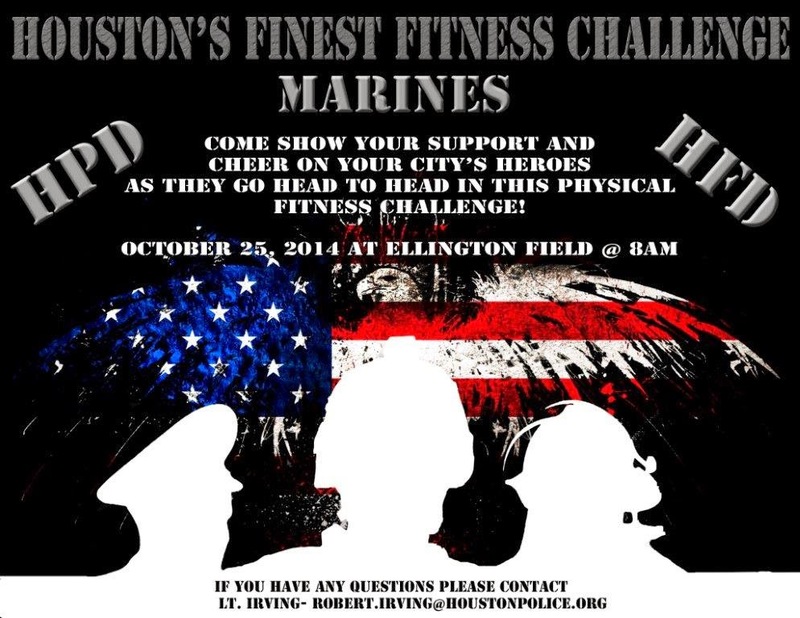 The event is held every other Friday at Memorial Park at 6:30 am. The run is to gauge how ready you are physically for the police academy. 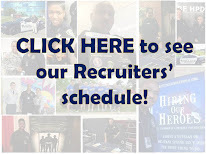 You can also speak to a recruiter there to see how you can start your career with HPD. Will was killed by a drunk driver. Please take 20 minutes out of your day to watch this story. 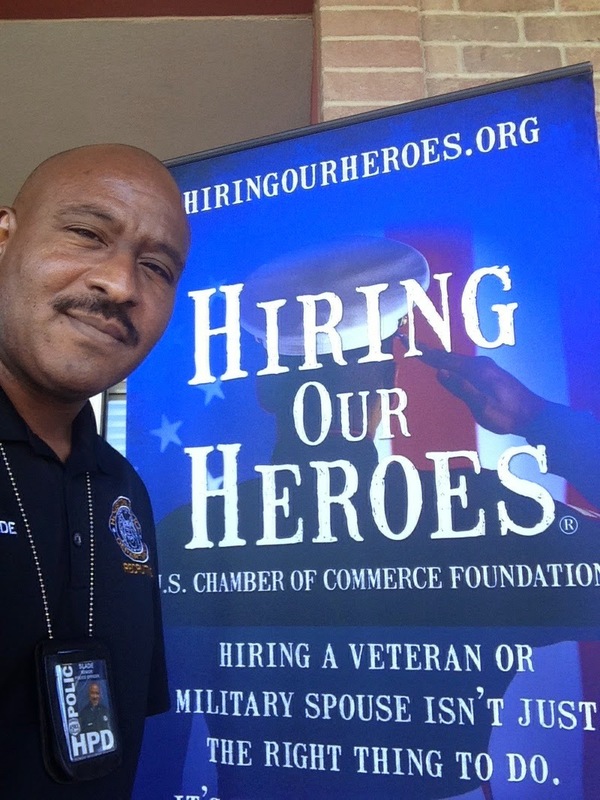 Senior Police Officer Mark Slade is at the Hiring Our Heroes event in Mission, Texas TODAY until 1 pm. 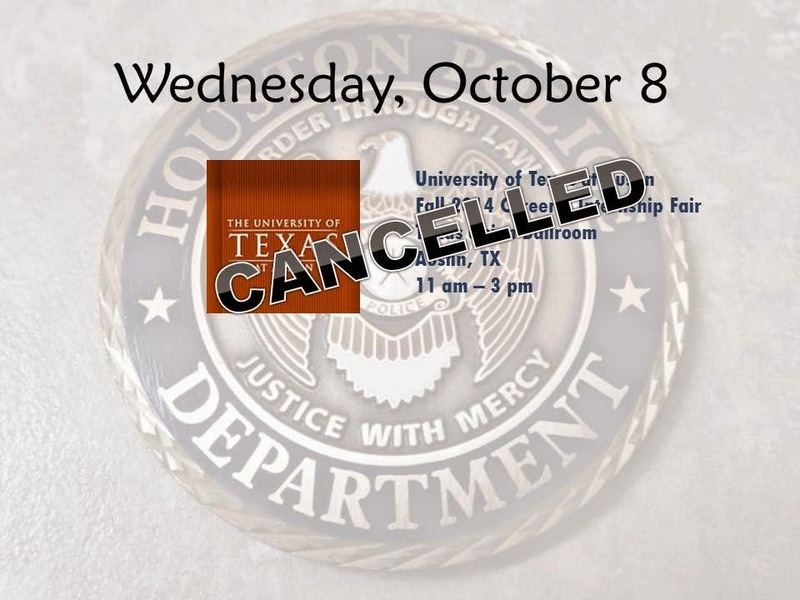 If you are there, stop by and say "Hi' and ask how you can start your career with HPD. 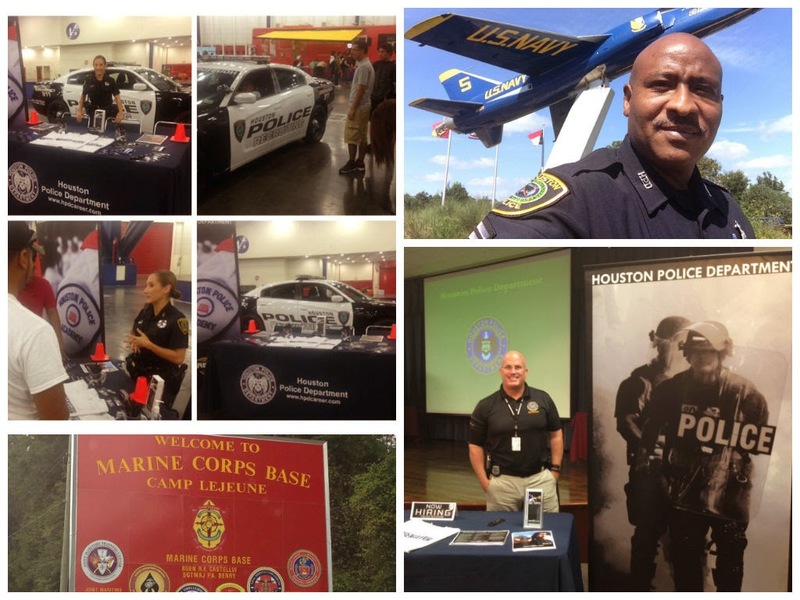 Houston Police Chief Charles A. McClelland, Jr., welcomed 65 men and women to Cadet Class #221 today at the HPD Training Academy and shared his and the department's expectations as they begin a rigorous 26-week training regimen to become Houston police officers. 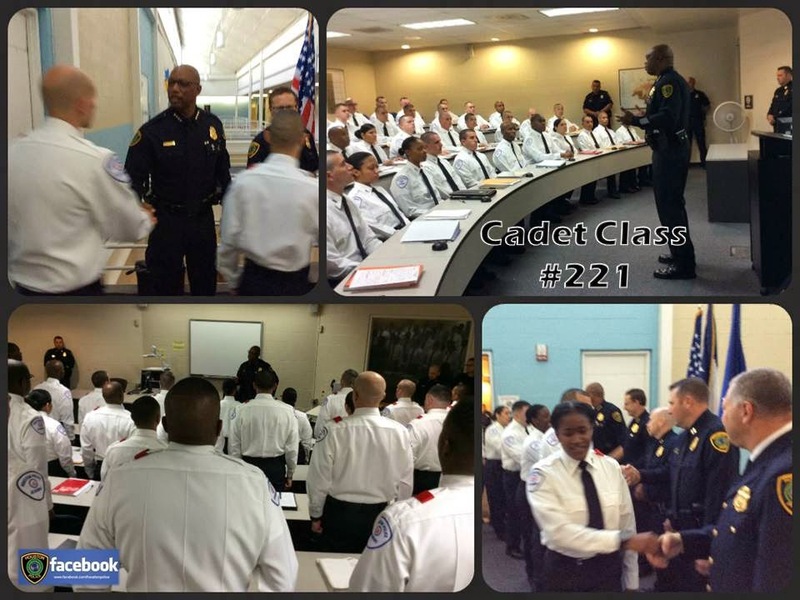 The cadets intently listened as Chief McClelland discussed HPD's three core values of Honor, Integrity and Respect. Officer Gilmore of the Recruiting Division is at the University of Texas - Pan American in Edinburg, Texas speaking to students about joining HPD. 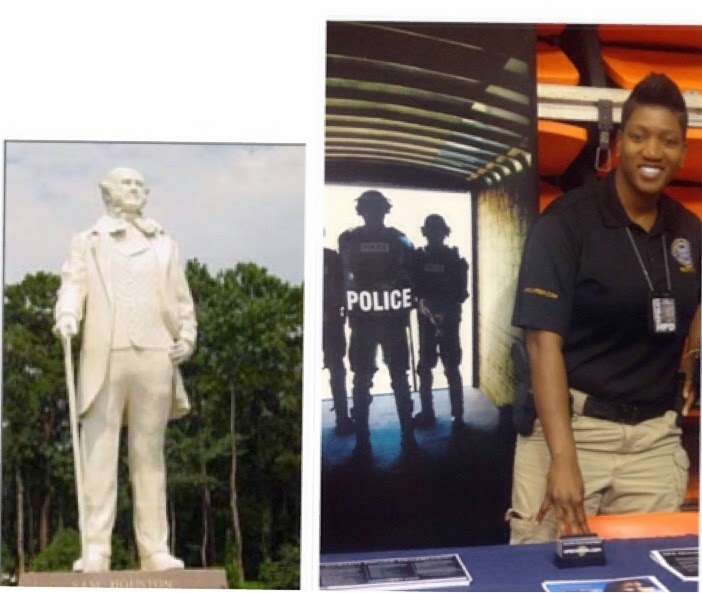 Last week, Senior Police Officer M. Slade visited the NCOA (Non-Commissioned Officers Association) Job Fair in Havelock, NC and enjoyed talking to potential recruits about joining HPD. He also learned a few things about ejection seats. Thank you Sam Houston State Bearkats! 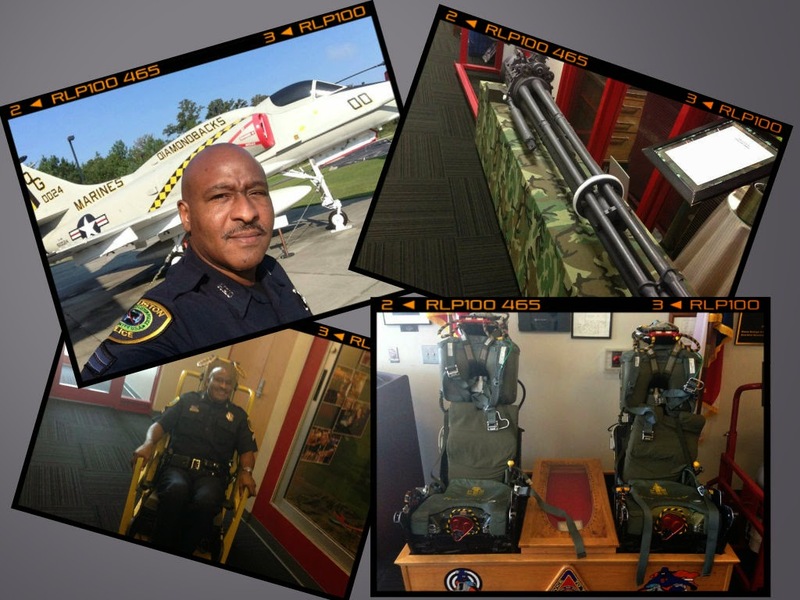 Officer Jones had a great time talking to you about starting your career with HPD. If you missed us this time, follow this blog to see when we will be back out on your campus. 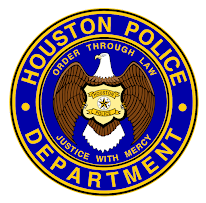 You can also call our Recruiting Division at 713-308-1300 or (800) 252-0473 for more information about joining HPD. Also, go to www.hpdcareer.com.